Women with curly hair want their hair straightened. Women with straight hair want them curled. Men complain about it when they are waiting for their girlfriends or wives get ready for a date but..that’s just the way it is! The truth is, every woman is an artist and they can be very good hairstylists provided they have the right set of tools. And one of their most valuable hair styling tools is the hair curler and for this article we are going to take a look at one of the best in the market – the Babyliss Miracurl. Click Here to Get the Babyliss MiraCurl Professional Curl Machine at an Unbeatable Low Price on Amazon! Of all the hair curling gadgets in the market, everyone is saying that the Miracurl Babyliss is the fastest and easiest one to use. In fact some people have dubbed it as a “No Brainer”. The Babyliss Pro Miracurl leaves nothing to chance. All you have to do is set the temperature, set the timer, set the type of curl whether you want it going in, going out or alternating then, you can start curling or rather, it does the curling for you. After you put your heat protecting solution to your hair, all you need to do is work on each one-inch section of your hair with the Babyliss Pro Nano Titanium Miracurl by simply setting it underneath to clamp the area where you want the curl to start from. Now, Babyliss Pro Nano Titanium Miracurl Professional Curl Machine works very differently from other curling irons. With any other curling iron, you start curling from the tips going up. With the Babyliss Pro Miracurl Professional Curl Machine you start from that part of the hair closest to the hair roots or wherever you want the curls to start and the machine does the rest. It is sort of like a big clip and there’s groove where your hair is supposed to be placed. To start the curling, clip that group of hair and the curling rod inside rotates to pull in the strands completely. When that first batch of hair strands is all curled up on the hair setting rod, it will proceed with the hair setting according to your programmed temperature and duration. When the set duration has elapsed, the heating will cease and when you let go of the clip your hair uncurls from the rod and flows with a magnificent intricate curl. If you set it at alternating curl, you don’t have to make any adjustments with the positioning of your curler. When you start working on the next one-inch batch of strands next to the ones you’ve finished, they will be curled the other way around automatically. Your hair is set on a one-inch cylindrical groove. You don’t interchange that with any other size to control the degree of curl. The heat setting generally provides for setting different hair textures. If your hair is harder to curl then you need more heat. 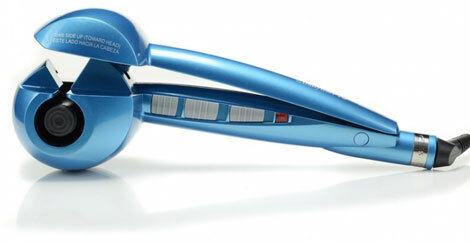 The Babyliss Miracurl Pro Nano Titanium has three heat settings. For the degree of curl, you have to play around with the duration settings to see which one will produce the kinds of curls that you like. Based on several Babyliss Miracurl reviews, these are what we have gathered. It definitely is the easiest curler to use curler in the market today. While the ordinary iron curler requires you to twist the contraption several times until you reach the roots, the Babyliss Miracurl does the curling for you. The mechanism turns and coils your hair all the way and, like a microwave, heats it up into a curl that you can enjoy after a few seconds with the sound of successive beeps. Then, there is no estimation involve. If you set your Miracurl Babyliss at twelve seconds then twelve seconds it is and it will produce the same kind of curls over and over again..
Now, because of the set up that it is pulling you hair tips into a coil and not the other way around, there is no danger of pulling your hair too forcibly from their roots which may cause stress and even pain. The Babyliss Pro Miracurl produces zero pain and can never harm your hair roots. Now, it’s a bit bulky. It resembles the automatic price tagger that the grocery personnel uses to put price tags on products but, it will still be very convenient to bring along on trips because there are no exposed bristles to protect and you don’t need to put it in a box. Just throw it in the suit case and off you go. 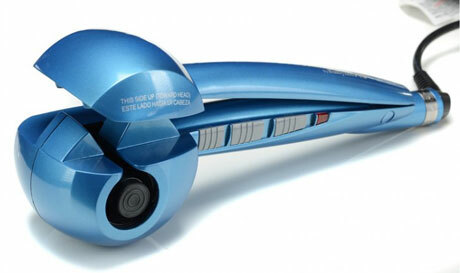 The Babyliss Pro Nano Titanium Miracurl cannot function as a blow dryer. Though some motels and most classy hotels have blow-dryers in the bathroom, you may have to bring a blow dryer along in your trips just to be sure. At least the manufacturers were very specific when they used the term Miracurl and curl machine because some products use the term styler which connotes that it can also be used for straightening. The manufacturer of the Babyliss Pro Nano Titanium Miracurl Professional Curl Machine was very decent in naming their product very appropriately. Though the chamber where the hair goes in for curling looks a bit bulk. It can still be set very close to the roots so the Babyliss Miracurl will work very well even for shoulder length hair. The cylindrical base where the hair coils to is only about an inch in diameter so the curls can be very intricate especially if you set the machine for longer duration settings. The first low down is that there are actually some women who are very good in curling and actually love to curl their hair manually. There are some reviews that say that the Babyliss Pro Miracurl robs you of that challenge. It’s so simple to use that it removes the skill portion in curling. And the other thing is the price. 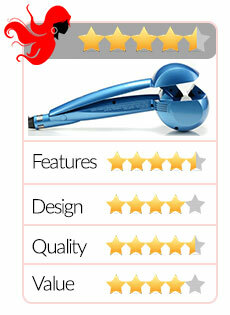 The convenience comes at a price and it is more expensive than other hair curlers. nobody complained about the fact that you can only deal with one inch worth of hair strands at a time because even if you are forced to work in bits and pieces, the Miracurl Babyliss still produces the fastest curls compared to other brands. Well, let’s put it this way – if you want the easiest and most effective way to get beautiful curls, use the Babyliss Pro Nano Titanium Miracurl Professional Curl Machine. 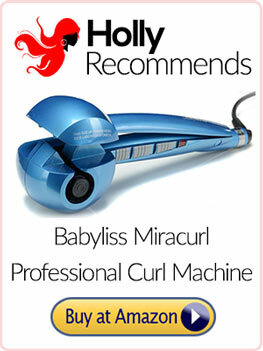 Click Here for Big savings on the Babyliss MiraCurl Professional Curl Machine at Amazon!